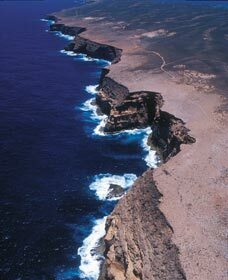 The spectacular Zuytdorp Cliffs stretch for more than 200 kilometres along the northwest coast near Denham. Best seen from the ocean, you can take one of several sightseeing cruises on offer to explore these magnificent cliffs. Alternatively take a scenic flight along this stretch of the coastline for breathtaking views and ample photographic opportunities. 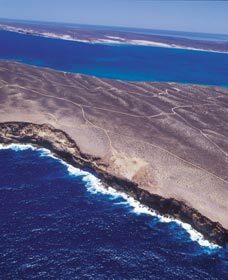 Once you have had a chance to see the cliffs, take a diving adventure and explore the Indian Ocean�s marine life below. If fishing is preferred, several tour operators offer excellent fishing expeditions. Named after the Zuytdorp ship that was wrecked by the rugged coast in the early 1700s, the ship remains on the seabed near the cliffs. Stretching from the mouth of the Murchison River to the end of Dirk Hartog Island the Zuytdorp Cliffs are an eight and a half hour drive north of Perth. The area has no permanent water source, so be sure to bring plenty of drinking water when visiting the area.